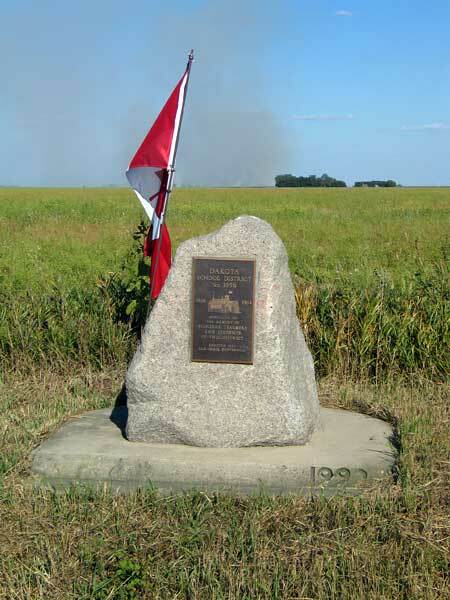 A monument marks the site of Dakota School, which opened in March 1900, in a one-room schoolhouse at 13-8-4W in the Rural Municipality of Grey. As the local population grew, the need for a larger school became dire so the school trustees purchase 3½ acres of land at NE14-8-4W but a building was not constructed there until 1937. Ten years later, it was put on a full basement and larger cloakrooms, indoor toilets, and a new coal-fired furnace were added. 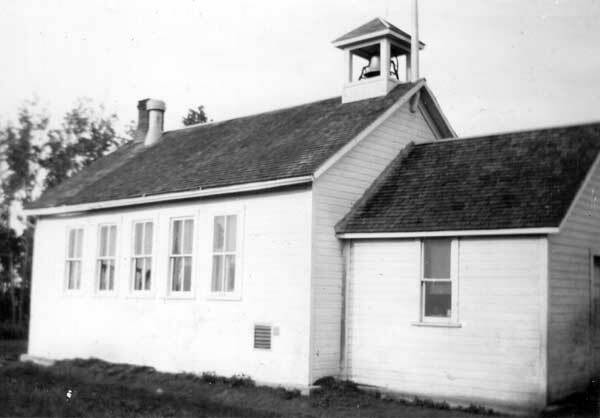 The school closed permanently in 1964, remaining students went to Elm Creek Consolidated School No. 812, and the school district was formally dissolved in July 1966. The building stood vacant until 1967 when it was sold and demolished. The monument was erected in 1992, for the Elm Creek centennial year, and dedicated to the pioneers, teachers, and students of Dakota School. GR8461, A0233, C131-2, page 48.